In the postwar decades, young Japanese architects confronted the challenge of rebuilding the devastated nation. Kikutake was one of the most gifted. More than half a century has passed since the publication of Metabolism and its distribution to attendees of the 1960 World Design Conference in Tokyo. 1 Though frequently referred to as a manifesto, the pamphlet was in fact a collection of essays and urban design projects by architectural critic Kawazoe Noboru and four young architects then launching their practices: Kiyonori Kikutake, Kishō Kurokawa, Fumihiko Maki, and Masato Ōtaka. Their texts and design proposals revolved around a core idea: that the increasingly disparate rates of change in cities required new paradigms for architectural and infrastructural design. The pamphlet’s modest production values did nothing to detract from the potency of this message in the mid-20th-century context of rapid urbanization and mass production. Metabolism soon found its way into academic and professional discussions in far corners of the globe. In postwar Europe, avant-garde groups such as Archigram had already theorized the plug-in, or replaceable-part, consumerist city; but no attempts had yet been made to implement architectural projects to test these ideas. By contrast Japan, with its tabula rasa, top-down planning methods and fearless embrace of innovative construction techniques, was a fertile testing ground for the Metabolist philosophy. Indeed, the 1960s — and to a lesser degree the ensuing decades — saw a profusion of built and unbuilt architectural works that, one way or another, grappled with the implications of metabolic change. This body of work has lately sparked renewed critical interest among contemporary architects, urban designers, and theorists — coinciding with a decade in which most of the group’s founding members and colleagues have died (Metabolist mentor Kenzō Tange, 1913–2005; Kurokawa, 1934–2007; Ōtaka, 1923–2010; and Kikutake, 1928–2011). 2 Late in life, several of these architects agreed to be interviewed about their early works, enabling numerous critical studies, retrospective exhibitions, and monographs to take shape. 3 Thanks to this scholarship — and supported by evidence from its protagonists’ long and diverse careers — Metabolism no longer appears to us as a uniform ideology but instead as a series of thought and design experiments by authors espousing very different sensibilities, philosophies, and even political affinities. None has attracted more intense critical focus today than the group’s intellectual leader and core instigator, Kiyonori Kikutake. Though arguably the media-savvy Kurokawa scored the movement’s greatest hit with the construction of his 1972 Nakagin Capsule Tower, 4 it was Kikutake whose more than fifty-year career most profoundly and persistently explored Metabolism’s central polemic on the lifespan of buildings and their systems. 5 His writings and works invite further attention precisely because they are not glib or simplistic but rather fully articulated statements of a worldview encompassing aesthetics, politics and economics, land use planning, technology, and human psychology. One of Kikutake’s great gifts as an architect was the ability to synthesize these diverse influences and to publish intellectually charged essays elaborating upon his built works; as a result of this close relationship between building and writing, no design decision seems arbitrary or unrelated to his stance on a spectrum of contemporary concerns. This was as true for his first small-scale built works as for the large-scale futuristic urban visions. In the context of Japanese architectural publishing in the late 1950s — when established architects such as Tange, Kunio Maekawa, Junzō Sakakura, Takamasa Yoshizaka, Yoshirō Taniguchi, and Kiyoshi Seike were at the height of their creative powers — it might strike us as odd that a prestigious journal such as Kenchiku bunka would invite a relatively unknown thirty-year-old architect to publish a full-page essay and two pages of model photos about a small and not yet built project called the Sky House. 6 In fact Kikutake was early on recognized for the seriousness and eloquence of his message, which in turn raised the stakes for contemporary architectural discourse among his elders. Architects, Kikutake argued, needed to understand more keenly their role in society, and to address the underlying sociological and psychological unease of contemporary citizens before determining how, where, and what to build. He advocated beginning a design not with a preconceived program — a list of rooms — but with questions about how one relates to, and lives among, one’s surroundings. An unfettered horizontal view and independence from the ground plane defined for him an ideal situation for the urban dweller; all else in the Sky House’s design, including the impeccable construction detailing, followed from this conviction. And to be sure, the compositional and technological strategies employed in the Sky House — the exteriorized concrete pier structure with column-free corners, the long-spanning waffle slab, the thin hyperbolic paraboloid shell roof, the prefabricated kitchen and bath modules — were not in themselves new. Our understanding of the Sky House as technologically innovative relies largely on Kikutake’s transcendent narrative on architecture and the city dweller, which in turn makes these techniques necessary components of his architecture. Given the strength of Kikutake’s reputation as urban visionary, it is possible to underestimate the relative importance that his early buildings — including the Sky House — played in the development of his architecture, particularly his focus on structural design research and innovation. With time, it has proven easier to analyze and celebrate the political and social dimensions of his more daring unbuilt work and to assign a supporting role to technological investigations. 7 This interpretation is due partly to the architect’s own broad framing of design problems, and partly to the fact that the construction techniques he used on built works, though innovative by mid-20th-century standards, are now either commonplace or obsolete, while the technologies required to build entire cities floating on the ocean seem almost as futuristic today as they did fifty years ago. Nevertheless, it is useful to remember that over his career, Kikutake devoted more energy to resolving technical problems at a building scale than at a city scale; and it is this activity that I would like to explore more deeply. Kikutake believed architects need to address the underlying psychological unease of contemporary citizens. In his project work, Kikutake collaborated closely with engineers, manufacturers, and builders who were pushing the forefront of their disciplines; he saw technological experimentation as both instrumental to individual projects and as a continuous thread of research whose value transcended any particular application. It was not unusual, for example, for the first effort to incorporate a new technique into his architecture to start at a small scale, as a test, only to be used more daringly at larger scale in subsequent designs. The notion that structural geometries and configurations could be tested at room and building scale, then translated to city scale, is a continuous thread running through Kikutake’s work. At the same time, built works were never mere prototypes or representations of grander ambitions; they elicited from Kikutake a unique set of poetically conceived details in response to the particular place and use. Structural gestures, often sited to spectacular effect, were woven into specific project narratives so inextricably as to resist the idea of originating in an independent line of research. Before exploring two early works that illustrate the virtues and challenges inherent in Kikutake’s approach to construction, it’s important to consider the general state of building technology in 1960s Japan. At the time, reinforced concrete had been established for more than forty years as the structural material of choice for the nation’s architects, particularly those working on public and institutional commissions. 8 Concrete moment frame construction was by far the most common structural paradigm, but folded plate and shell structures were also in wide use, enabling large, column-free interiors for auditoriums, factories, transit hubs, and other gathering places. Steel was also used, though in the aftermath of the industry’s wartime devastation, steel frame construction was relatively expensive, and the material was usually assigned a specific role (e.g., as lightweight, long-spanning roof structure) within an otherwise concrete structure. Reinforced concrete therefore was the default choice and central focus of technological experimentation. In the prewar period, concrete structures had been typically clad in stone, brick, tile, and various plaster- or cement-based finishes; in the postwar period, in contrast, the architectural qualities of exposed concrete were increasingly appreciated as aesthetically acceptable, even desirable. 9 Inspired by Le Corbusier’s expressively formed béton brut work in France and India, Japanese architects began experimenting not only with concrete’s remarkable sculptural and structural capabilities (including excellent seismic resistance) but also its surface qualities, which could take on a handcrafted appearance. And although Japan already had by the 1960s a sizable stock of aging concrete buildings, the vulnerability of exposed concrete to the long-term effects of weathering was apparently not yet fully recognized; still in the future was the development of durable, transparent coatings and chemical sealants that help maintain Japanese concrete structures in pristine condition. Also in the postwar years, precast concrete technology represented a significant advance for Japanese construction; slender linear elements, delicate screens, and intricately patterned cladding panels could be produced off-site in factories, then shipped to the construction site for easy assembly by means of welding, bolting, or additional casting. Japan is famously vulnerable to strong earthquakes. Throughout its architectural history, and particularly over the last century, this has acted both as constraint on the design of building structures and as inspiration for innovative research on seismic resistance. Modern construction techniques developed in Europe and America for resisting gravity and wind loads must, when translated to a Japanese context, consider the possibility of far more extreme lateral loads due to earthquakes. The forms of concrete construction being advanced by mid-20th-century architects and engineers in the West — moment frames, folded plates, thin shells, waffle slabs, and so on — needed to be tested against a more rigorous and diverse set of loading conditions in Japan; often construction elements (columns, beams, slabs) needed to be thicker and more densely reinforced. Due to the self-weight of robust horizontal spanning elements, maximum spans tended to top out at ten to twelve meters in ordinary concrete construction; this was significantly smaller than what was possible in steel construction. Only with the introduction, during the ’60s, of techniques for pre- and post-stressing concrete beams using high-strength steel cables (which reduce the amount of concrete needed in cross-section) did Japanese concrete construction begin achieving significantly longer spans. Though pre- and post-stressing techniques were originally developed for bridge building, their ability to reduce the number of columns within otherwise conventional buildings soon made them popular among the Metabolist generation — and the translation of such construction techniques from an infrastructural to an architectural (or human-centered) scale elicited some of the most provocative design expressions of the day. If not for its relative disengagement from problems of urbanism, Kikutake’s design for the Izumo Grand Shrine’s Administration Building (designed and constructed 1961–63) might be considered a kind of quintessential thesis work. Certainly it is a great work of architecture: nowhere are Kikutake’s powers of imagination more evident than here in his synthesis of symbolic, technological, and spatial-experiential facets into a unique work. To comprehend this achievement, we need to acknowledge the challenges he faced. The Izumo Grand Shrine is one of Japan’s two most important centers for its indigenous Shinto religion, along with the more famous Ise Shrine. Located in Shimane Prefecture on the coast of the Japan Sea, in a remote corner of western Honshū, the shrine is closely associated with Shinto’s folk traditions, inherently inward-looking and conservative. And more: the Grand Shrine is at the northern edge of Izumo City and abuts hundreds of acres of protected forests and mountain preserves. Given this remote site and tradition-bound clientele, it is difficult to imagine an architect today proposing reinforced concrete as a recommended construction method for extending the shrine’s campus of traditional wooden structures — indeed, Kikutake’s example has found no concrete successors at Izumo. No doubt the special atmosphere of postwar Japan was a factor. Good quality wood for construction, depleted during wartime, was still in short supply. Architects were embracing reinforced concrete as a material that would not only prove more durable but also, in the right hands, could replicate many of wood’s structural, figural, and textural qualities. The outcomes were various. On the one hand, many postwar temple and shrine structures built in reinforced concrete literally imitated the forms and iconography of wooden architecture (with predictably ersatz results). On the other hand, leading architects — Tange, Maekawa, Taniguchi, and others — used wood assembly techniques as inspiration for expressing similar delicacy and lightness in concrete, while also investigating the dimensional limits specific to engineered concrete, both poured-in-place and precast (and frequently interweaving the two systems). During these decades, an entire genre of governmental and institutional “Japan Style” buildings emerged in parallel to a “tradition debate” (dentō ronsō), in which the familiar elements of International Style Modernism (slabs, shear walls, columns, beams, balcony rails, fenestration, and screens) were tweaked and shaped to emphasize visual analogies between Japanese timber frame and concrete moment frame structures. At Izumo, Kikutake neither invented the idea of figurally substituting concrete for wood nor was he the first to weave in situ and precast elements into a single structure; but his design took both these ideas to new lengths, and to an extremely successful resolution. The Administration Building is sited just to the west of the Grand Shrine’s ceremonial north-south approach road: it is one of a series of subordinate structures visitors encounter on their path to the main shrine. It features a modest interior program of offices, meeting rooms, and a double-height space originally used for displaying shrine treasures that required enclosure (currently serving as a reception area). Kikutake’s response was to propose a simple, elongated structure — 10.5 by 42 meters in plan — parallel to the road. Seen as a continuous backdrop across a forecourt by visitors to the shrine, the broad east facade (and parallel west facade) would, though built of concrete, achieve a delicacy usually associated with the frames and screens of traditional wooden shrine architecture. Siting and space planning were thus simple and assured, creating a framework in which porosity and lightness in concrete could be explored with singular focus. Another young architect might have been content to follow the example of Kenzo Tange’s “Japan Style” work in rationalizing the structural spans into a system of slender, stylized columns and beams, and then infilling the rest with a free design of precast screening elements. But Kikutake had other, larger concerns: chiefly, the problem of connecting contemporary construction to traditional shrine culture in a meaningful way. Shinto has long been associated with acts of building; Shinto priests perform rituals and ceremonies to mark the completion of certain stages of construction, even on contemporary high-rise structures. In this most traditional of contexts, the sequential pouring of a conventional concrete frame, followed by nonstructural cladding layers, would seem utterly alien to Izumo’s history. Thus Kikutake’s challenge — and ultimate source of inspiration — was not only to produce a handsome building but also to devise a construction process that resonated with his clients’ familiarity with wood construction at every stage. To a great extent, this meant adopting a strategy of dry-assembling the majority of construction elements rather than casting or otherwise forming them on site. Kikutake sought to connect contemporary concrete construction to traditional shrine culture in a meaningful way. In designing this new approach to concrete construction, Kikutake’s principal collaborator was Gengo Matsui (1920–1996), professor of civil engineering at Waseda University and a key motivator of structural innovation among three generations of Japanese architects. 10 Matsui had worked with Kikutake on several projects already and found in Izumo an ideal opportunity to experiment with new structural techniques. Early on, the architect identified the ridge beam, supported on two end posts, as the key symbolic element of Shinto architecture; we can see this in its simplest form in the familiar torii gates that mark the approach to any shrine and also in more complex forms in the construction of shrine roofs. 11 The abstract figure of an elongated ridge beam and its end-supports would be the basis of Kikutake’s new construction system — elaborated, with Matsui’s support, as follows. The roof of the Administration Building consists of a pair of parallel concrete ridge beams supporting a series of precast roof slabs between them. Though spanning nearly forty meters without intermediate support, the concrete beams are only two meters deep — a remarkable 1:20 depth-to-span ratio not ordinarily achievable in conventional concrete. Matsui’s key innovation in achieving this astonishing slenderness was to pre-stress the concrete beams using a then relatively new technique: embedding pre-tensioned reinforcing cables into the formwork prior to the concrete pour, then releasing this tension once the concrete has cured. In addition, the pre-stressing produces an upward camber in the beam that reduces tension forces in its lower portion. Though less discernable on the building interior, the ridge beams are an iconic feature of the exterior, due to careful articulation of beam support and end conditions (including plugs denoting the location of stressing jacks on beam ends). Two stair towers placed at either end of the building’s elongated north-south axis are the sole supports for the roof structure and are responsible as well for half the load of the east and west facades and the entirety of longitudinal lateral loads. Though windowless and structurally reliant on the continuity of their shear walls, the towers are articulated not as monolithic volumes but as column-and-beam moment frames with decorative precast panel infill. Because of the concentration of heavy structural loads on only two relatively distant points, Matsui needed to specify massive footings below each stair tower; in turn, due to poor soil conditions, each footing required deep caisson foundations to resist uneven settlement. Though invisible once the site was backfilled, this added significantly to construction time and cost. Independent of the primary structural frame, shallow foundations and ground slabs for the main floor were constructed of conventional in situ concrete. Similarly, the second-floor slab and its supporting columns, beams, and shear walls were conventionally poured, with great attention to articulating their slenderness, hence their autonomy from the great roof structure. A series of precast concrete ribs, spaced approximately 2.5 meters apart, are installed diagonally along east and west facades (with some interruptions for entrances); each rib leans inward from its ground-beam base against the more closely spaced ridge beams, to create a modified “A-frame” interior space. Unlike a typical A-frame structure, however, the ridge beams remain primary structure — they support the diagonal ribs, rather than being supported by the ribs. This is a critical distinction to make in understanding how Kikutake managed to create such a diaphanous wall of concrete louvers. The precast concrete ribs are custom-designed and shaped for attachment via welding to plates embedded at regular intervals along the ridge beams, as well as for the attachment of subsequent layers of concrete louvers. All such welded attachments are then sealed with mortar and silicon sealant to prevent exposure of joints to water and humidity. At the point of the ribs’ attachment to the ridge beams, a secondary set of precast slab and cantilever beam elements are joined to the assembly, creating a delicate outrigger beam to cap the east and west facades. The Izumo Grand Shrine Administration Building’s slender horizontal precast concrete louvers —with the delicate glazing strips inserted between them — are the most impressive aspects of the construction. The louvers are continuously gradated in size from bottom to top, so that more light pours in above. Despite minimal structural depths, no louver appears to sag over its span due to precisely calibrated pre-cambering. Each member is precisely shaped and finished in a way that recalls the wood joinery of traditional carpenters. Lastly, the gap between stair tower end walls and the east and west facades is glazed, completing the building enclosure while maintaining the articulation of autonomous structural parts. The Administration Building is one of Kikutake’s most elegant and cohesive works, despite its apparent detachment from his core concern with anticipating metabolic change. Yet even in a nominally timeless site such as Izumo, no work of architecture can stop the clock or escape taking on new readings over time. I visited the Izumo Grand Shrine in April 2013 — fifty years after Kikutake’s concrete structure was completed, and little more than a year after the architect’s death. By chance, my visit also coincided with the completion of a multiyear restoration project for the main shrine’s wooden roof structures, whose freshly shingled surfaces looked resplendent in the spring sunlight. Delegations of officials and photographers had assembled around the shrine grounds, observed by crowds of religious tourists. Located somewhat off to the side, away from the excitement attending the monumentally scaled Grand Shrine, Kikutake’s Administration Building appeared at first glance more diminutive and restrained than the “megastructure” I had imagined — it felt modest and very much part of the background. Surprisingly, the familiar view of the sixty-two-meter-long east facade had been cut off by the recent addition of a new (and ironically, much larger) wooden structure nearly abutting the northern third. This new building undoubtedly added to the overall impression of diminution — not only of the Administration Building but also of its forecourt. Though the building seemed generally well maintained, a patina of soot and mold absorbed into the folds of the concrete attested to its age and made it feel part of the shrine’s natural site. As is often the case with mid-century buildings, the interior had been significantly altered. New opaque walls and built-in furniture on both ends of the main double-height space had compromised the sense of transparency Kikutake achieved, not to mention the legibility of his remarkable long-span structure. But the delicate lighting effect introduced by the precast concrete louvers along east and west facades has been beautifully maintained, as have a number of handcrafted details (stair treads, door handles), producing still a refined interior atmosphere. Kikutake’s creative collaboration with Matsui produced a second masterpiece in the Hotel Tōkōen of 1964. Initiated around the same time as Izumo, the hotel features an even more imaginative and complex structural diagram, while its larger scale and more diverse programs create more ambiguous readings. While Kikutake saw the challenges of building at Izumo (particularly site and program) as exceptional, he was eager to understand Tōkōen as an architectural prototype whose principles could be extracted and replicated elsewhere. In his view, resort hotels and leisure facilities were not frivolous places; they reconnected city dwellers to the natural environment. As such, they were an integral part of his larger schemes for Japan’s urbanization. Tōkōen is situated on the Japan Sea coast of Tottori Prefecture, approximately seventy-five kilometers east of Izumo, in the hot-springs resort town of Yonago. Close to, though not bordering, the seacoast, it enjoys gorgous views and fresh sea air. The Hotel Tōkōen opened in 1952, and by the time Kikutake was commissioned to design what would become its new main wing, replacing the original entrance, the site already featured guest rooms and communal baths designed by Isao Shibaoka and a strolling garden designed by Masayuki Nagare. From the outset, Kikutake understood his building as part of a larger ensemble, and he reasoned that the overall composition would continue to change to meet the demands of future owners and their clientele. 12 Following a narrative that paralleled his theory of metabolic urban growth, the architect set out to design a robust eight-story structure that could flexibly accommodate future additions and renovations. The architect sited the new main wing on a north-south axis, orienting the primary lobby and guest-room views eastward toward Tōkōen’s garden and bath structures, rather than northward to the seacoast. Extending his ideas about flexible interior space, Kikutake saw the presence of conventional structural elements within the guest rooms as incompatible with his mandate to establish an intimate connection to landscape, and so — as he had already done at Sky House and other smaller-scale precedents — the hotel’s primary concrete frame structure was banished to the exterior. All vertical bearing was concentrated into six massive “mega-columns” (later divided into grouped columns), spaced 12 meters apart longitudinally and 10.8 meters apart across the building depth. To further exaggerate the sensation of floating in a structure-free zone, the architect proposed suspending the top two floors of guest rooms from a pair of cantilevering girders (visible on the exterior but unseen from within), using high-strength steel rods. The hotel’s program distribution and its innovative technical resolution both follow from these spatial concepts. To Kikutake, resort hotels were not frivolous places; they reconnected city dwellers to the natural environment. The program is divided into four primary components — a main lobby and reception area (first and second floors); guest rooms in both Western and Japanese tatami style (third, fifth, and sixth floors); a banquet room (eighth-floor penthouse); and service spaces, including circulation, storage, and mechanical rooms (distributed throughout). Particularly noteworthy in relation to the overall spatial-structural concept are the corollary decisions to provide an open-air terrace at the fourth-floor level and to locate an entire floor of closed storage rooms on the seventh floor. Both of these were necessary conditions for achieving and articulating the suspended structure of rooms at the fifth and sixth levels —the seventh floor being enclosed by massive structural girders suspending the fifth and sixth floors, and the fourth floor’s east-west transparency demonstrating a lack of conventional structural depth and/or support below. A key refinement of Kikutake’s initial parti was to divide each of the six “mega-columns” into one main column and three shorter, thinner bracing columns. Matsui cited a famous icon of Shinto architecture — the torii gate of Itsukushima Shrine — as a precedent. Just as the gate’s primary posts are braced against the ocean’s advancing and receding tide by additional posts and tie-beams below, Matsui proposed that a cluster of secondary columns and cross-beams on the lower floors of Tōkōen would help to distribute seismic loads over a broad base while allowing the main seven-story columns to remain relatively slender. Kikutake’s final design for the grouped columns resonates beautifully with the wooden architecture that inspired it. Cross-beams that connect the columns are located at staggered heights, as they would be if assembled from notched, interlocking wood members rather than poured together as a concrete moment frame, and in most cases the bracing beams are not used to support slabs above. The concrete formwork has been carefully considered, using cedar boards to imprint wood grain permanently into the concrete surface and imbuing the whole with a sense of fine craftsmanship. On the entrance facade, the lower three floors are recessed from the grouped columns so that these indeed register as freestanding sculptural elements. Throughout the design, in fact, Kikutake took great care to articulate the enclosure walls of each floor as autonomous from the structural frame, either recessed from or protruding beyond it. The most challenging part of the structural design concerned the suspended upper floors — which were critical to the theme of the project. In an earlier, smaller project, Kikutake and Matsui had experimented with suspension-based lift-slab technology, but Tōkōen brought this to a new and daring scale. Following Matsui’s design for the steel-reinforced concrete structure, each of the massive seventh-floor girders — which cantilever 6.2 meters beyond their final supports and are responsible for suspending the fifth- and sixth-floor slabs —contains a full-story-high steel truss. Prior to encasing these trusses in concrete, the steel suspension structure is anchored to their bottom chords. Each tensile member consists of two steel rods spaced at four-meter intervals along the girder length, hence breaking its twelve-meter major span into three smaller spans. The tensile rods are finally encased within interior furnishings and hence cannot be detected as “structure” by guests. To support the floor between these tensile supports, shallow steel I-beams are embedded into each floor slab; and to further decrease the necessary structural depth needed at midspan, each suspended slab cantilevers 2.1 meters beyond the line of primary structure. In the case of corner rooms, there is a double-cantilever, its transparency expressing the lightness Kikutake sought. Matsui’s design allowed the floor slab edges to taper to a mere 120 millimeters, in keeping with the desire for a light expression. To ensure the accuracy and straightness of the final structure, it was necessary during the construction to pre-stress the tensile members using hydraulic jacks until the concrete had reached final strength and its temporary supports could be removed. Nearly floor-to-ceiling glass enclosure in fifth- and sixth-floor guest rooms completed the illusion of a floating structure. In other parts of the design, Kikutake experimented with similar structural and spatial daring: the ethereal “truss-stair” protruding from the garden facade is a fine example of minimally dimensioned, finely crafted concrete (attentive guests may note that the stair enfolds itself around one of the six grouped columns). The steel-and-tensile-membrane of the penthouse roof represents a lightweight version of the concrete hyperbolic-paraboloid shell structure topping Kikutake’s own Sky House. For the hotel interiors, the detailing talents of the architect’s staff (including a young intern, Toyô Itō) were supplemented by Kiyoshi Awazu’s expert graphic design and artwork by Ryōkichi Mukai. Despite the seriousness of purpose with which Kikutake explains his early projects, it is easy to imagine that the architect viewed his Tōkōen project as a bit of a design playground — a place where he and his team could freely experiment. A recent visit reinforced this impression. As was the case with Izumo, published photographs of the hotel and knowledge of its innovative structural systems had created the illusion that Tōkōen was a far larger building than it seems in person. The main wing houses only thirty guest rooms, and floor-to-floor heights are intimately scaled: three meters or less on upper floors, with the exception of the fourth-floor terrace, where greater height was needed for visual clarity. The imposing scale of the four-story-tall grouped columns, exposed on the western entrance facade, is mediated by the addition of smaller, free-standing entrance canopy structures in the same language of post-and-beam, cedar-board-textured concrete. The fourth-floor terrace — which Kikutake had suggested as future expansion space — has remained open, as befits its compositional role in demonstrating the daring suspension of floors above; a glass-enclosed sky-bridge now connects it to the annex’s fourth floor. While his symmetrical structural parti places columns at the center of both east and west facades, Kikutake creates a dynamic ground-floor spatial sequence by displacing the entrance to the north and locating stairs and elevators to the south of their respective facades. The double-height glazed lobby pushes out toward the garden, incorporating the east facade’s central column group as a sculptural feature. The contrast of scales — on the one hand, a continuous fabric of low-ceilinged, wood- and plaster-paneled domestic interiors, and on the other, the emphatic presence of a megastructural column group — proves very effective in shaping the visitor’s experience of the hotel as an orchestration of several distinct systems. Predictably, the guest room floors have been altered over the past half-century, but for the most part they remain true to the architect’s vision of lightweight interiors inspired by Japanese ryokan (traditional inns constructed in wood). Corridors on these floors lack windows and are illuminated by paper lanterns placed along the floor — typical country inn scenery, intended perhaps to intensify a guest’s astonishment upon entering his room and discovering its panoramic view. Kikutake’s prohibition against robust structural imagery within the rooms is indeed very effective, since it is surprising to imagine a (seemingly) lightweight wooden architecture affording this kind of high-altitude view. There are other signs, however, that time has not been kind to Tōkōen. Japan’s domestic tourism industry has suffered as younger generations have discovered the pleasures of affordable international travel; remote places like Yonago no longer draw diverse crowds of city people even for weekend visits, since other rural hot-springs resorts are now accessible by new bullet train and highway routes through Japan’s mountainous interior. And despite serious efforts to preserve and promote Kikutake’s luxurious and imaginative interiors, the hotel has not fully managed to keep up with the maintenance necessary to preserve an exteriorized concrete structure exposed to corrosive sea air. Instances of spalling concrete and exposed and rusting reinforcing bars are apparent throughout, especially on the fourth-floor terrace’s ceiling (i.e., the suspended fifth-floor slab). Years ago, when replacement glazing was installed on the fifth and sixth floors, the slender concrete slab edges were also clad in aluminum panels to protect against further deterioration — a well-intended but aesthetically disappointing revision. The current approach to repairing damaged concrete appears to be ad hoc, patching concrete and installing new ceiling plenums to cover and protect as needed. Undoubtedly at some point, a more comprehensive strategy for preservation or replacement will be required. Tōkōen’s place in modern architectural history relies very much on its daring structural premise: the suspension of two lightweight floors from an expressive concrete frame exposed to the elements. Yet this very conceit, with the passage of time, appears to have left the building in a precarious state. The hotel has by no means been declared structurally unsafe, but its current condition raises questions about its ability to be adequately maintained. One might conclude that Kikutake’s ambition to create strong, long-lasting structures capable of accommodating future change should have encouraged a more conservative approach to structural design. But this observation is only possible in hindsight. Had it not been for devastating earthquakes in Awaji-Kobe (1995) and Tōhoku (2011), which demonstrated the vulnerability of many postwar structures built before Japan’s structural codes were revised in 1970, the nation would not now be looking with skepticism at the riches created by its midcentury architects. A great many masterpieces of 1950s and 1960s Japanese modernism, Metabolist or otherwise, have already been torn down or are threatened with demolition. 14 The costs of maintaining the appearance of older concrete buildings while upgrading their structural performance are frequently judged too high — meaning too that the societal benefits of architectural preservation are not as widely valued in Japan as in other countries. Whatever intentions Kikutake had for designing Tōkōen as a prototype for open-ended, metabolically adaptable building systems, the building now faces the same problem of persisting for the enjoyment of future generations that all buildings of that era must confront. Tōkōen’s place in architectural history relies very much on its daring structural premise. At a deeper level, however, to suggest that Kikutake’s pursuit of future flexibility should have dampened his enthusiasm for structural experimentation is to misunderstand the architect’s driving ethos. The pursuit of technological innovation was an integral part of his vision for future society; it could not be omitted from an architecture that purported to frame the future. The idea that personal security required living one’s life surrounded by rigid concrete walls, reminded of one’s own vulnerability by the visual presence of structural elements — this scenario was incompatible with Kikutake’s aspirations for liberated modern men and women. In works such as Sky House, Izumo, and Tōkōen, the removal of conventional structural elements from everyday living environments was itself a primary goal, as much as or more than the illustration of a Metabolist narrative. One of Kikutake’s enduring legacies has been to inspire later generations of architects to continue an intensive line of structural research in relation to human spatial perception. The well-known lineage of design mentorship — extending from Kikutake through Toyô Itō, Itsuko Hasegawa, Kazuyo Sejima, and Ryūe Nishizawa to Jun’ya Ishigami, Sōsuke Fujimoto and beyond — has produced a bounty of innovative structural and architectural expressions. Though scientifically precise and requiring collaboration with top engineers, these investigations have been inspired more by the desire to produce particular kinds of spatial experience than by quantifiable (but one-dimensional) measures of progress such as efficiency and economy. The lessons of Kikutake’s approach to technological innovation, both his method and attitude, have not been lost on younger practitioners. Central to this approach is the idea that research into building techniques is an activity worthy of the architect’s time and attention, regardless of its applicability to whatever program brief may be on his or her desk. When the architect is deeply interested in a particular strategy or technique, opportunities for incorporating these into a project narrative will emerge. To be tested, structural strategies and construction techniques must be fine-tuned to the requirements and scale of individual projects; but the optimal application of any investigation ultimately may occur years down the line at a different scale, and to different effect, from the project in which it was initially tested. Many masterpieces of Japanese modernism have been torn down or are threatened with demolition. In this light, it is tempting to detect in the work of Kikutake a kind of “loose fit” between individual projects, their specificities (site, program, budget, schedule), and their applied construction techniques. While receiving the architect’s utmost attention to creating utility and poetry, building projects were also seen as opportunities to experiment with new construction systems; their scales did not always require or even match the technology employed. Was a forty-meter free span essential to the modest requirements of a ten-meter-wide Administration Building at Izumo, or was Kikutake eager to understand the capabilities of pre-stressed concrete beams as he developed a lexicon of innovative structural and spatial strategies? Was Hotel Tōkōen’s program an ideal vehicle for showcasing the spatial effects made possible by suspending floors from thin steel rods, or was this just a timely opportunity? I raise these doubts not to pursue tautological questions but rather to suggest how Kikutake was able to develop a research-based architectural practice that (more than) supported itself with real building commissions while developing in parallel a capacity to work at new and challenging scales in the future. It seems clear to me that Kikutake was not attracted to the idea of completeness in architecture; that he had both an intellectual and aesthetic preference for incomplete, open-ended, and even unstable architectural form. In this sense, he introduced to Japanese modern architecture a new sensibility, different from the controlled compositional approach of the previous generation. The Metabolist urban visions proposed by Kikutake unfailingly emphasized the incomplete nature of the city as a perpetual work-in-progress. But this aesthetic permeated his built work as well, even those projects that at first glance appear classically balanced and distilled to essential elements. Perhaps to the horror of those who saw in the original Sky House a work of perfection, the architect was not afraid to adapt his house over time, according to his own narrative of metabolic evolution. Over the years, he added and subtracted elements, going so far as to enclose the ground plane over which his house famously hovered as an icon of modern detachment. Kikutake had an intellectual and aesthetic preference for incomplete, open-ended, and even unstable architectural form. A preference for expressing autonomous parts at the expense of cohesive wholes is seen in other works as well. In many cases this was a necessary condition for technical experimentation. Earlier I described Kikutake’s ability to work into the design of Tōkōen a number of seemingly unrelated structural experiments; in his account of the hotel’s design evolution, project architect Shōkan Endō writes that the penthouse’s shell roof was added as a refinement (and separate design task) only after the project had already gone out to bid. 15 Even within the exquisitely systematic design of the Izumo Grand Shrine’s Administration Building, Kikutake could not resist introducing an alien element to destabilize the overall clarity of his composition: the hyperbolic paraboloid concrete shell enclosing an interior ramp that protrudes from the west facade. Unrelated in any sense to the building’s structural diagram, its free form added to the project a set of new construction techniques to be mastered and potentially exported to later projects. This attitude allowed the architect some relief from the expectation that every work needed to be a masterpiece; instead all were part of a longer trajectory. This analysis is not to suggest that Kikutake was endlessly chasing the latest architectural technologies; the families of investigations he launched over his long career were almost exclusively focused on structural configuration in the service of creating structure-free space and enabling construction on sites considered unbuildable. Many experiments of his early years found their way into later projects at larger scales, though increasingly with the actual mechanics hidden from view beneath layers of cladding (exposed structure being disfavored in more recent construction for reasons of maintenance and thermal performance). The Metabolist theory of obsolescence and renewal notwithstanding, one does hope that that the early built works of Kiyonori Kikutake will be appreciated and maintained for many years to come. The best among them — which include many works beyond those analyzed here — contain experiential riches that can only be fully appreciated in person. Carefully crafted buildings are testaments not only to their architect’s imagination and dedication in following through on ideas, but also to the earnestness with which teams of builders, material suppliers, and craftsmen approached their work. A reluctance to see this added human value as expendable is an understandable part of architectural preservation; yet one wonders whether Kikutake himself would be part of such an effort, or whether he saw only new opportunity in the clearing of a future building site. “Structuring the Future” is extracted from Between Land and Sea: Works of Kiyonori Kikutake, edited by Ken Tadashi Oshima and co-published this fall by Lars Müller and the Harvard Graduate School of Design. It appears here courtesy of the author and publisher. Kawazoe Noboru, ed., Metabolism/1960 (Tokyo: Bijutsu shuppansha, 1960). The proceedings of the conference were published in World Design Conference Organizational Editorial Committee, ed., World Design Conference 1960 in Tokyo (Tokyo: Bijutsu shuppansha, 1961). Of the original Metabolists, only Fumihiko Maki (born 1928) remains in good health and active in practice today. Particularly important retrospective studies of the Metabolist movement include the Mori Art Museum’s 2011 exhibition and associated catalogue, Metabolism: The City of the Future, edited by Yatsuka Hajime (Tokyo: Shinkenchiku-sha, 2011), and Rem Koolhaas and Hans Ulrich Obrist’s Project Japan: Metabolism Talks (London: Taschen, 2011). Intended as a literal, technically innovative demonstration of Metabolism’s replaceable-part urban architectural theory, the Nakagin Capsule Tower never lived up to its promise of generational renewal and recently, threatened with demolition amid a much scaled-up urban context, has ironically attracted the attention of architectural preservationists. Kurokawa’s architecture underwent profound stylistic changes after the 1970s, creating challenges to the interpretation of his own Metabolist writings. Critical interest in Maki’s architecture has focused not so much on the early 1960s proposals exploring his theory of Collective Form as on the more mature, materially articulated work of the 1980s and beyond (though Collective Form underlies much of this work). Ōtaka’s extensive post-Metabolism design career has so far eluded critical discussion in an international arena. “Sky House,” Kenchiku bunka, December 1957, vol. 12, no. 12, 134. Much attention has been paid recently, for example, to the architect’s claim that the impetus for his lifelong interest in water- and sky-based urbanization arose from his anger at the land reforms instigated after World War II, through which his family lost its lands and hereditary place in local society. His desire to detach architecture from the ground plane has thus been interpreted as an expression of ongoing political protest. But the gesture of lifting structures off the ground is so frequently seen in Kikutake’s work — from the 1958 Sky House through to the 1994 Edo-Tokyo Museum and beyond — as to raise questions about the persistence of such a singular attitude, without regard to client or program. Might the idea of raised structure have developed, at some point, its own justification as design trope? Reinforced concrete was also increasingly favored for residential construction, when budgets allowed. The exposed concrete works of Tokyo-based American architect Antonin Raymond were notable exceptions to this rule; his 1924 Reinanzaka House in Tokyo is a famous example. Two decades later, Matsui would help architect Shigeru Ban launch his well-known investigation of the structural properties of paper tubes, corrugated cardboard, and other lightweight materials not previously associated with permanent construction. Buddhist temple roofs differ from Shinto construction in that their ridge beams are not typically supported directly on end posts, but rather on a more complex hierarchy of transfer beams below. Indeed, a four-story annex to Kikutake’s building would follow years later, targeting more budget-conscious travelers. Though the structure must be built twice (first steel, then concrete), the process usually take no longer than conventional concrete frame construction, since the steel frame can be quickly erected in any weather, and its presence greatly assists the logistics of assembling temporary formwork and shoring for the concrete construction. The construction of Tōkōen required only twelve months between October 1963 and October 1964, which seems miraculous given the complex coordination of trades and new techniques required of its contractor, Kumagaya Corporation. Among beloved modern masterpieces slated for demolition is Yoshirō Taniguchi’s 1968 Hotel Ōkura in Tokyo. Junzō Sakakura’s 1951 Museum of Modern Art in Kamakura narrowly avoided a similar fate; and though no longer serving as a prefectural art museum, the structure will be preserved and undergo seismic retrofitting. Shōkan Endō, “Project Management Method and Reality” [Sekkei kanrino hōhō to jissai] in “Hotel TOKO-EN by K. Kikutake Arch. and Assoc.,” Kenchiku bunka, April 1965, 68. Mark Mulligan is Associate Professor in Practice of Architecture at the Harvard Graduate School of Design. 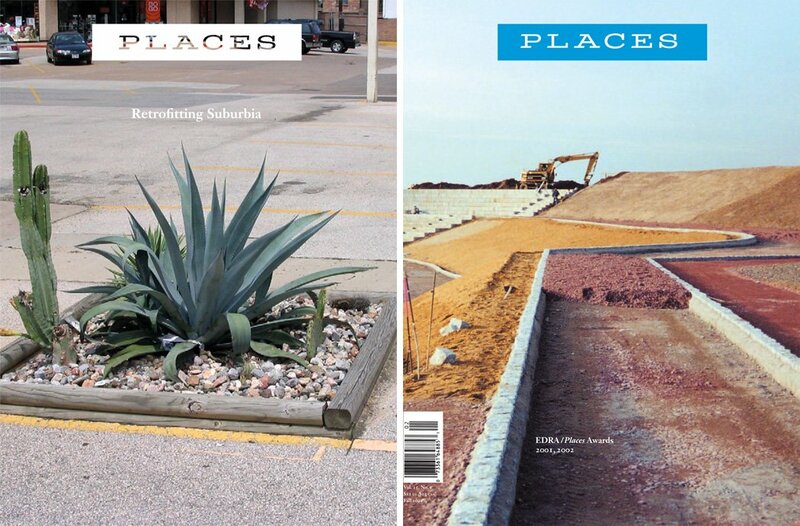 Read more on Places from books published by Lars Müller.